I love learning things, and sometimes that means taking things apart - although occasionally this can get me into trouble. When I was eleven or twelve I was curious about what was inside a plug, so I decided to unscrew the top and look inside. The top came off easily enough, and I was having a good nose around when I touched the live wire and came into connection with 240V - I was taking apart a plug that was still connected to the mains, which isn't a great thing to do. Hindsight is a wonderful thing! I recall involuntarily emitting a wobbly noise - not a scream but more of a "whooooooah". Fortunately I wasn't connected very long and I subsequently went downstairs a little shaky to confess what had just happened. I learnt a lesson that day about the power of a connection to the electricity mains, and the power it takes to turn on a lightbulb. "When I was eleven or twelve I was curious about what was inside a plug.."
I don't know about you, but I've found that to really learn something I need to be pushed out of my comfort zone. I remembered this week about learning to row at school. Before we were allowed anywhere near a real rowing boat we visited a rowing "tank" at a nearby leisure centre. This had real oars, real water, and real sliding seats, except that we were most definitely still on dry land. 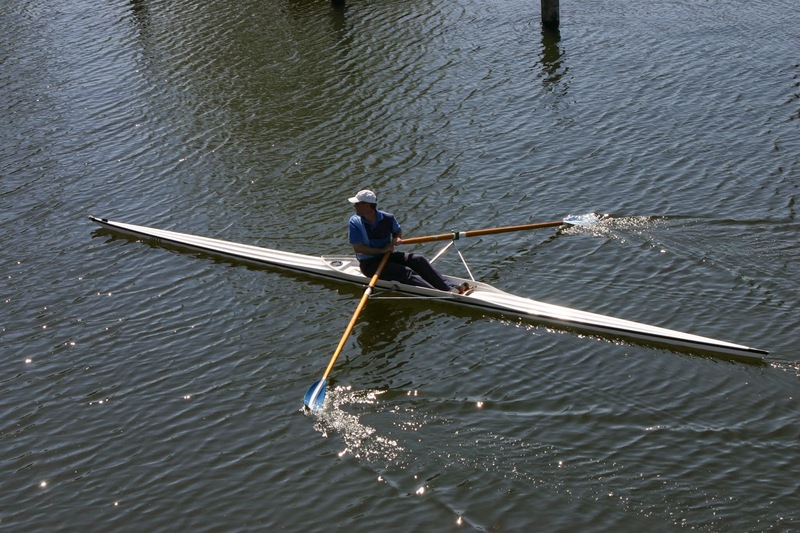 We could learn a little about handling the oars, keeping rhythm together as a crew and sliding up and down the seats during each stroke. However for all that, after the experience, none of us had really learned to row - we'd only been going through the motions. And unlike the graceful unison of a top crew we were more like an epileptic spider, thrashing and flailing its limbs. To properly learn we needed to sit in a real boat, be pushed off the landing stage and into the centre of the river and THEN start taking real strokes. It was only when out in the current that we could learn the balance and rhythm we needed to row properly. Sometimes you've got to push out into the current to work through your wobbles and get your balance in a way that you can't when you're still firmly connected to the ground. "Sometimes you've got to push out into the current to work through your wobbles." After a few sessions in the boat, there was a moment when all the motions and balance suddenly came together, the lightbulb went on and I was able to row. 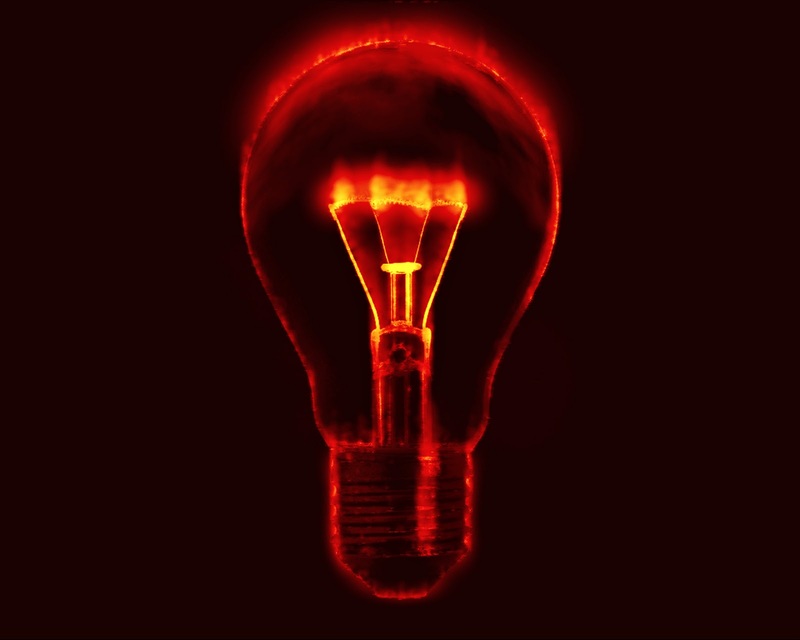 The metaphor of a bulb lighting up when we finally "get it", when we have that eureka moment, harks back to Thomas Edison. Edison was a serial inventor, and when he turned his attention to coming up with a commercially practicable lightbulb, much of the time was initially spent working through different materials to see which one would give the right results and actually light up the bulb. In the end it was carbon filaments which proved the breakthrough. One of Edison's more famous quotes was "I have not failed, I've just found 10000 ways that don't work." I take heart from this, since what we perceive as failures in our lives are often instead just ways that didn't work, material we're left with which just didn't make that particular connection at the time. We live in a part of the UK's West Midlands called the Black Country, a region that was at the heart of the industrial revolution and so named for the air pollution from the proliferation of coal mines, iron foundries, and steel mills at that time. In the particular corner of the Black Country we live the cottage industry for many years was nailmaking, from the 1600s until the industrial revolution itself. Sadly, the invention of machines to mass produce nails was a nail in the coffin to the individual nailmakers of the area, but what sprung up instead was chainmaking. Instead of breaking the billets of iron or steel down into nails, the former nailers joined the billets themselves up into chains - indeed the anchor chain of the Titanic was made within a couple of miles of our house. Sometimes, like the Black Country nailers, we can feel like our skills or resources are no longer needed, when in fact all we need to do is reshape our raw material into something else. I'm a huge fan of re-purposing and upcycling raw or waste materials, and my daughter and I recently converted two old shelves into birdboxes for our garden - one of which is already gaining the attention of a pair of local bluetits - a much better purpose than remaining a piece of scrap wood. "Sometimes... we can feel like our skills or resources are no longer needed, when in fact all we need to do is reshape our raw material into something else." So what's the next link in your chain? Or what resources and experiences can you re-shape into something different? It was as nail making reached it's peak that the process became obsolete through mechanisation, and a similar thing occurred with telecommunications in the twentieth century. In the book "The Idea Factory", Jon Gernter tells the story of Bell Labs and their innovations in telephony and electronics. Just as they were perfecting the art of laying submarine telephone cable across the Atlantic to optimise transatlantic communication, some of their brightest minds were inventing the prototype telecommunications satellite. With the launch of Telstar 1 in 1962, the era of satellite communications began, swiftly rendering the network of submarine cables relatively obsolete. 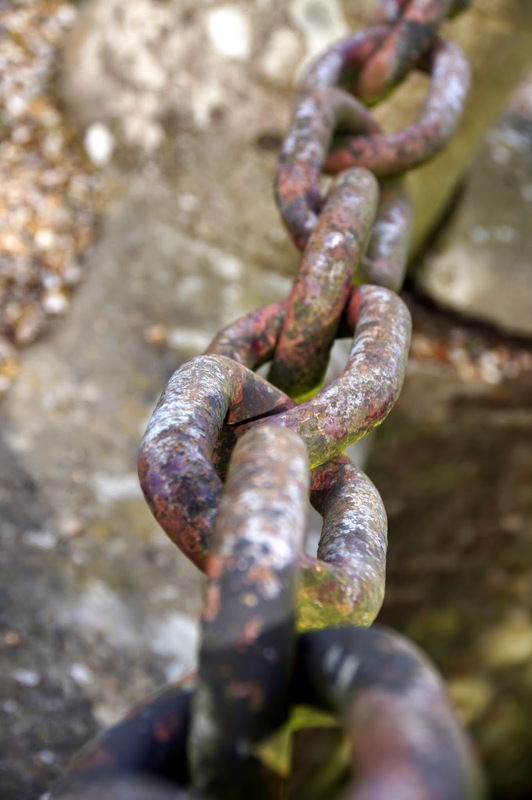 Sometimes, the next link in our chain isn't to improve the process we've always done, but instead to undergo a radical shift. Moving from nails to chains, from cables to satellites. Maybe the lightbulb moment you need right now is about recognising what new shape your raw materials can make. Thanks for taking the time to read my thoughts on making the connection! If you've enjoyed it why not share it with your friends on social media? Why not subscribe to The Potting Shed Podcast on iTunes for the audio version and much more (direct RSS feed is here). If you want to stay up to date please sign up to my mailing list, and do check out my book Life Space and my BRAND NEW BOOK Sight Lines on Amazon! Hi Wendy, glad you connected with it! Yup, plugs remain dangerous for curious kids with screwdrivers!! Really interesting about the nail makers transferring their skills to make chain instead - and I like the metaphor. A good read.